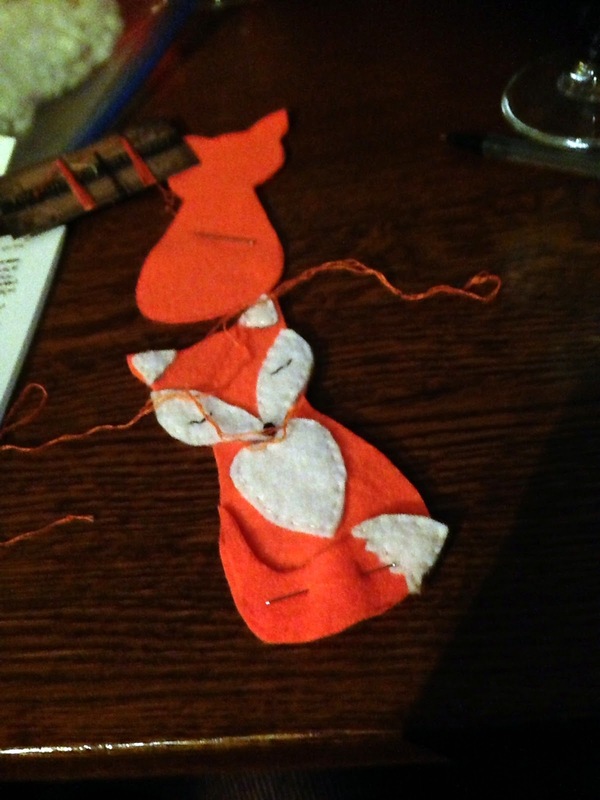 This week, I met some delightful ladies at Affleck & Brown in the Northern Quarter in Manchester to make Felt Foxes. 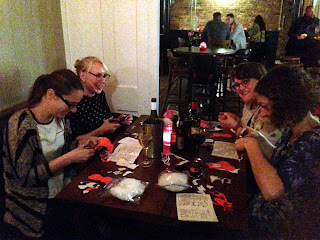 This was in conjunction with The Manchester Craft Mafia for their bi-monthly event Mafia Makes. Usually, when I run a craft session I make and show what to do step by step as I go along, but I decided that this method of teaching wouldn't work at this venue. So...I made up some kits and produced some handy little booklets with instrctions, pattern sheets with everything needed in a handy zip top bag. 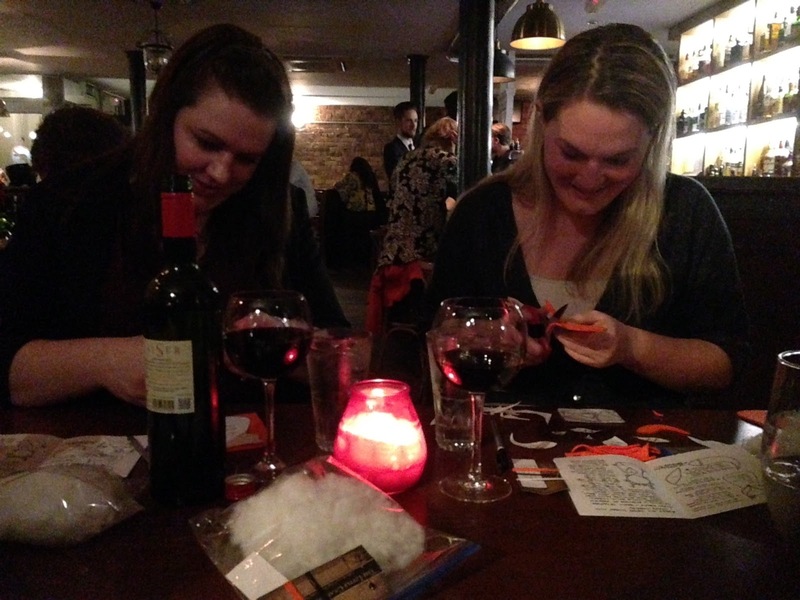 Quite a few ladies commented on how organised I was....hmmm....well....in some things I am I suppose. I have a planner and I make lots of lists....I'm kind of organised in a messy, chaotic way....but I'll let them think that I am super organised!! Anyway, it was a really nice evening and I got lots of positive comments, which were much needed. 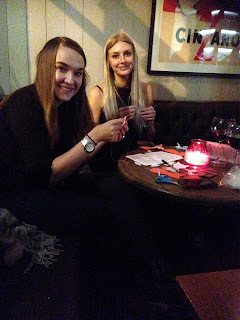 I think the only negative thing about it was that unfortunately, pubs and bars do so love their ambient lighting...and although this is good for drinking by, it is definitely not good for seeing to sew!!! 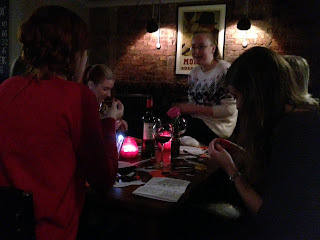 However, everyone seemed to manage and a good time was had by all. And I get to do it all again on Tuesday, the 17th November at 6.30pm at The Beagle in Chorlton. Sewing with wine...what a fab combination!!! Sewing with wine with your friend...even better!!! Thank You so much for coming...it was so lovely to meet you all.